Journal photo by Lee Walls Jr.
Bill Bowron has gone from being a “new boy” to Krewe King. Bowron was invited to join Birmingham’s Beaux Arts Krewe shortly after he returned to his hometown in 1991. He’d been living and working as a banker in Savannah, Ga., before moving back to Birmingham to join his family’s company, Red Diamond. At the dinner, one more duty awaited Bowron. Although Bowron had to think on his very tired feet, he didn’t mind doing his part to help finish off the fun of the ball. His family has a long and extensive connection to the annual event. Kidd is the reason the ball, set for Feb. 24 at Boutwell Auditorium, is celebrating its 50th anniversary this year. After heading up the Beaux Arts Jewel Ball for the Birmingham Museum of Art in 1966, she led the formation of a support group that would host the ball and be able to use the event’s elaborate costumes and decorations year after year. The Krewe started with more than 125 men as charter members. While the ball is a formal and festive social event, it has a charitable purpose, too, raising money for the Birmingham Museum of Art. Bill Bowron and his father aren’t the only ones in their family with ties to the Krewe. His daughter, Emily Wood Bowron, was a Lady in Waiting when he presented her at the 2009 Krewe Ball. 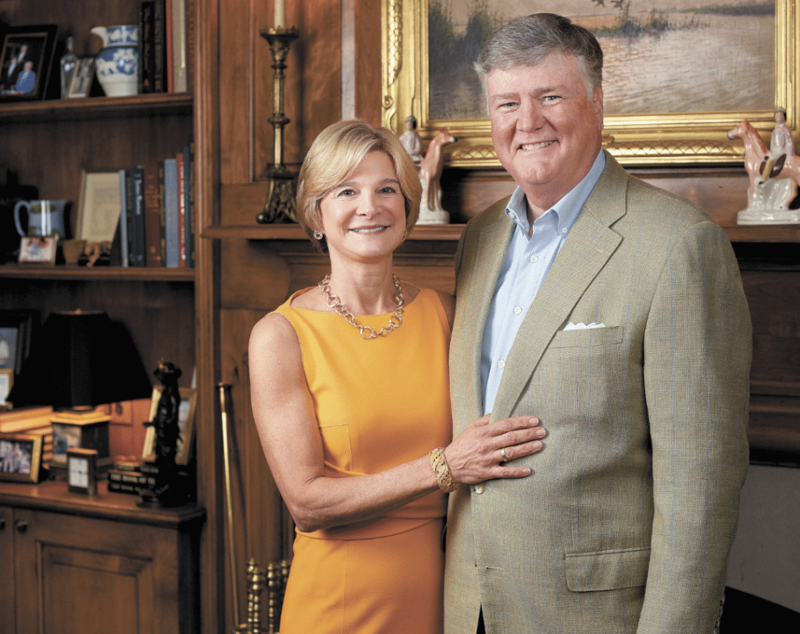 Bowron, who lives in Mountain Brook with his wife, Emily, left Mountain Brook High School after his ninth-grade year to attend Woodberry Forest School in Virginia. He graduated from Baylor School in Chattanooga, Tenn., and from the University of Virginia before starting a career in banking. He has a graduate degree from Rutgers University’s Stonier Graduate School of Banking. His father, William Bowron, also was a banker before joining Red Diamond. The company began more than a century ago with Fitz Donovan. “In 1906, he came from Virginia to Birmingham, which was exploding due to the iron and steel industry,” Bill Bowron said. “He sold provisions and roasted coffee. Bill Bowron followed a similar path. In Savannah, before he became a fourth-generation executive at Red Diamond, he was vice president of commercial lending for Trust Company Bank and then executive vice president for AmeriBank. He was set to become the youngest bank president in Georgia when his father called with big news. “He said we’d bought out the cousins and I should come home,” Bowron said. While he was eager to return home and work with his father, he enjoyed his time in Savannah. “That’s where I found my bride, and we had two wonderful children,” he said. Emily Bowron, a Smith College graduate, is a Savannah native. There, she worked in sales with a hotel. “Our move to Birmingham gave her time to ‘retire’ and be with the children,” her husband said. Their daughter is with Red Diamond and their son, Will Bowron, also was working for the family company but now lives in Atlanta with his wife, Caitlin. “He’s getting an MBA at Emory University and has an internship with Georgia Pacific,” Bill Bowron said. In addition to his demanding position as president, chairman of the board and CEO at Red Diamond, the Krewe King is very involved in civic and charitable activities. Like his mother was years ago, he’s on the Birmingham Museum of Arts advisory board. He and his wife were co-chairmen of the 2011 Museum Ball. Red Diamond also is a major supporter of the Birmingham Zoo. A few years ago, the company donated a second train, the Red Diamond Express, to the zoo. Red Diamond sponsors both University of Alabama and Auburn University athletics and offers scholarships at both schools. “We also provide scholarships at Preschool Partners, and I’m on the advisory board there,” Bowron said. Professionally, he’s been on the Tea Association of the United States board of directors for 20 years and served as chairman twice. Although he ran track in high school, Bowron’s first foray into soccer came when his son played as a youngster. “I ended up coaching club soccer for 18 years,” he said. Because of his love for that sport, he’s especially proud of the Red Diamond Classic soccer tournament held annually in Birmingham. Despite his responsibilities to his family, company and community, Bowron finds time for one of his favorite pastimes: hunting. Bowron said he’s happy to be part of the 50th Krewe Ball, which will be even more celebratory than usual. “All the past kings and queens have been invited,” he said. “More of the men still live here; many of the queens got married and moved away. We have a large number of living kings, and many of them will be at the ball. Emily Bowron has a role to play as well. “We’ll have the King and Queen’s Dinner after the ball, and we’ve already had the Dukes’ Dinner,” she said. Her husband said he couldn’t think of a better partner as he takes on his royal responsibilities. “The real trick is to be organized, and nobody is more organized than Emily,” he said. The Bowrons will have plenty of family members and friends at the ball to help them celebrate. The King’s Dukes include Thomas Gilbert Amason Jr., Thomas Ashford Broughton III, John Frederick Carter, Arthur C. Parker Henley, Charles Phillip McWane, David McCoy Millhouse, Bayard Shields Tynes Jr. and Jesse Stringer Vogtle Jr.
His Trainbearers are Emily Browning Amason, Martha Bickley Bowron, Richard Rhoads Bowron, William Ransom Johnson Hoyt, Virginia Pendleton Slaughter, James Stephen Spann, Laura Elizabeth Spann, Mary Beverley Spann, Ashley Elliott Tynes and Robin Adair Wade III. His cousin, Mary Stewart Beasley, will be among the young women presented at the ball. One of these young women will be crowned queen, although in accordance with tradition, her identity won’t be revealed until the big night. Bowron learned he’d be Krewe King early last summer, but most of his fellow members didn’t find out until several months later. “It’s a labor of love, for sure,” Emily Bowron said.